To kick of the Halloween season this year, OC YMF oits members to Knott’s Scary Farm Halloween Haunt in Buena Park. The event took place on October 18. 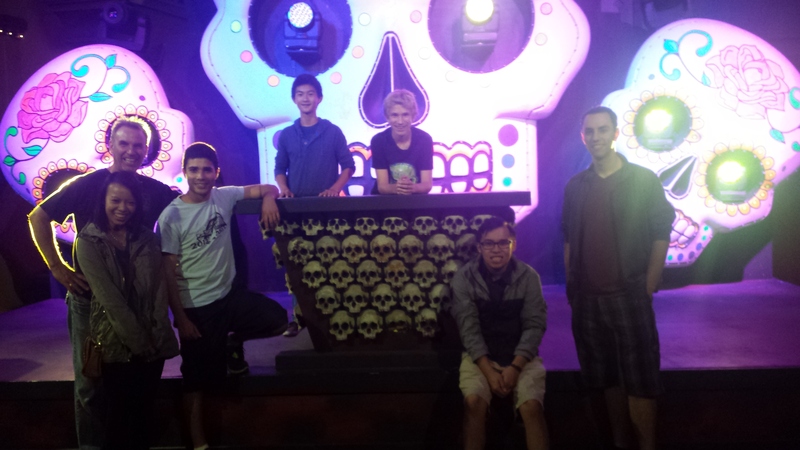 Members of OC YMF conquered 10 haunted mazes and multiple scare zones. There were roaming monsters, zombies, killer clowns, and ghouls wondering around and throughout the park, hiding behind walls and thick fog. As the group wondered through the park, these scary creatures were able get the screams out of the members. Some of the monsters also followed and sneaked behind the group inside the dark mazes but everyone made it through the mazes safe and sound. At the end of the night everyone was able to get their screams and laughter out. This event was a good way to bring everyone closer together and definitely something to look forward to next year.